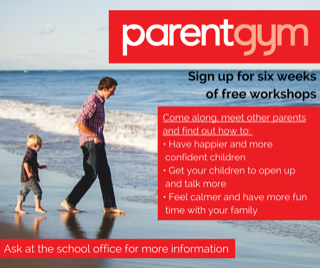 Parent Gym is coming to Bridge Learning Campus... Come and give your parenting skills a 'workout'. 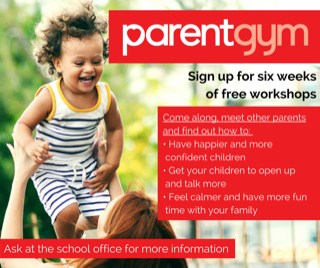 Parent Gym is a six-week parenting programme: each weekly session lasts two hours, and is packed with practical tips and strategies to make family life easier and help your children thrive. 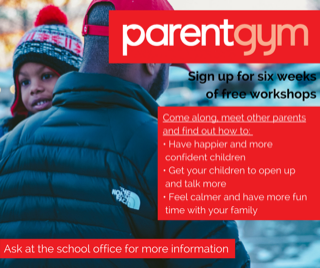 Parent Gym is aimed at all parents, and is a great opportunity to share the good and the more challenging aspects of parenting in supportive and enjoyable sessions. A place on the course is worth £250, but we are pleased to provide up to 20 free places on the programme at Bridge Learning Campus through our partnership with the school. commencing on Monday 20th May. There will be a Taster session on Monday 13th May from 12:30-1:15pm. Do come along to find out what Parent Gym is about.